Welcome to Marwen (film, 2018). A 2018 American drama film with "PG-13" rating by Universal Pictures/DreamWorks. Directed by Robert Zemeckis. Official Trailer. Welcome to Marwen is a 2018 American drama film directed by Robert Zemeckis. 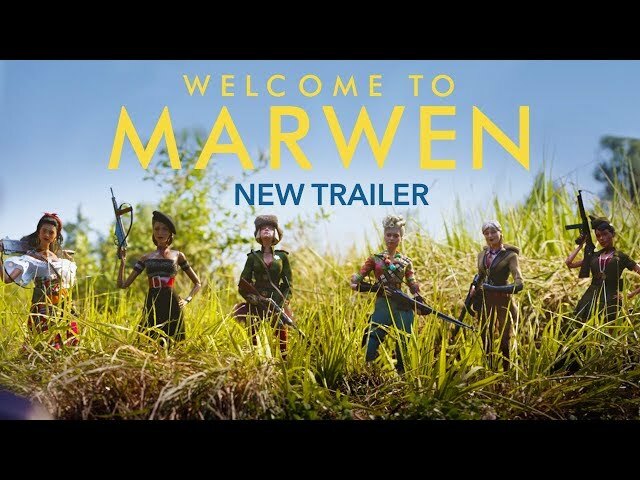 Welcome to Marwen - Official Trailer 3. A World War II warplane piloted by a doll-like figure is hit by enemy fire and forced to ditch. The pilot's shoes are burned in the forced landing and he finds women's shoes, which he wears instead. The pilot is confronted by doll-like German soldiers, who taunt him for wearing women's shoes. The Germans threaten to emasculate him, but are killed by a group of doll-like women who come to the pilot's rescue and protect him. As told in flashback, set in 2000, it's revealed that the doll-like figures are actually modified Barbie dolls photographed by Mark Hogancamp, who has created a model village named Marwen (later renamed Marwencol) to help him cope with his diagnosis of posttraumatic stress disorder and memory loss from an attack some time earlier by white supremacists after he unwisely and drunkenly told them about his fetish for wearing women's shoes. Mark fantasizes that the dolls are alive and act out in scenes which he photographs. The dolls correspond to people that he knows in real life: himself as "Cap'n Hogie", the pilot; female friends as his protectors; and his attackers as German Nazi soldiers. A green-haired doll named Deja Thoris is the Belgian Witch who prevents Cap'n Hogie from becoming too close with any woman, sending the women far into the future. Deja Thoris herself represents the pills which Mark takes to relieve his pain, to which he has become addicted. Mark has a court date to make a victim impact statement at the sentencing of the men who attacked him. After being initially reluctant to appear in court and confront his attackers, he comes to the hearing but flees when he imagines the defendants becoming German Nazi soldiers and shooting him. The judge reschedules the sentencing hearing for the same day that Mark's photographs will be shown at a public art gallery. Principal photography began in Vancouver, British Columbia, Canada, on August 14, 2017. 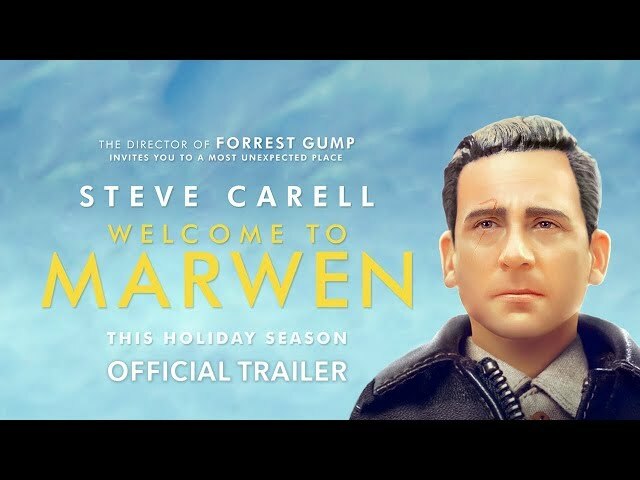 The film Welcome to Marwen was scheduled to be released by Universal Pictures and DreamWorks on December 21, 2018 (United States), on January 1, 2019 (United Kingdom) and on March 28, 2019 (Germany). The duration of the film is 116 minutes. With a budget of $39 - 50 million, the film grossed over $12.8 million. 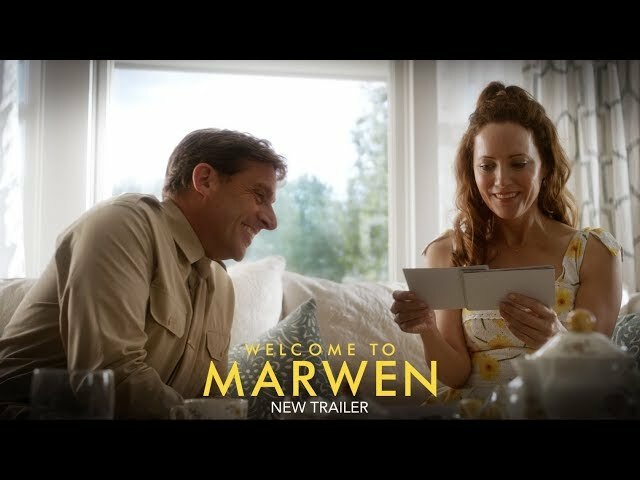 Welcome to Marwen got average rating from critics. But the audience likes the film. Audiences polled by CinemaScore gave the film an average grade of "B-" on a scale ranging from A+ to F.